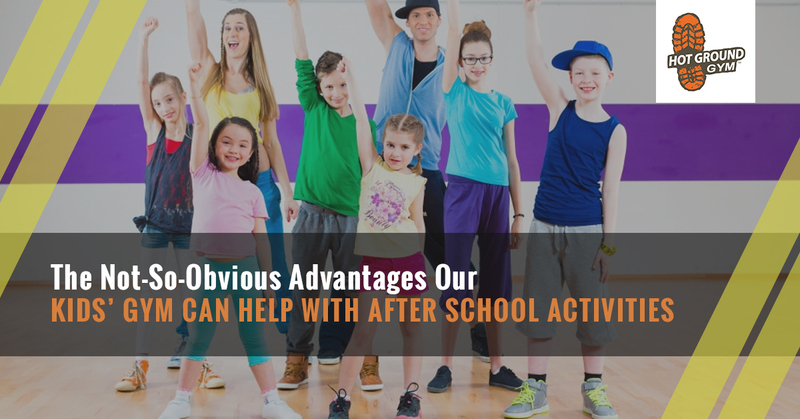 In a recent post, we gave a quick rundown of the ways in which our kids’ gym can help with many after-school sports, whether it’s basketball, baseball, hockey, lacrosse, football, or tennis. (We’ll go into more details of how a kids fitness program can help with those in our next blog). We also mentioned some other activities that our Junior Boots program can help with. Today we’re going to talk about some of the ways that our Junior Boots program can work with other after-school activities, those that aren’t always put in the “sports” category. Let’s take a look at how the 5 Pillars we teach at our kids’ gym — Obstacle Course Fitness, Critical Thinking, Teamwork, Leadership, and Discipline — can help in just about any programs your kids take part in. When most people think of “kids’ gym,” they only imagine the physical exercise that goes on there. But that’s certainly not the case, as Lego Robotics can certainly benefit from our Junior Boots after-school activity. While Lego Robotics might not need much in the way of muscles, other aspects of coming into Hot Ground in Northbrook can improve performance. Let’s take teamwork, for instance. Most of the obstacle courses can’t be traversed alone, which means that kids need to work together to ensure that each teammate gets through. Also, there are times that teams can have different views on how to approach a situation, and that means someone needs to step and be the leader. Getting experience as a leader in Junior Boots is an excellent way for them to discover the best ways in which they lead. A choir can all sing the same notes together (melody), or each section can sing different parts (melody). But even if they aren’t singing the same notes at the same time, they are all working together for a common purpose. That sounds a bit like our Junior Boots program, doesn’t it? Not every kid will have the same strengths: some will be stronger, some will be smarter, some will have better leadership skills…but they’re all still working together to get their team from one place to another on the obstacle course. There will be free time where kids can play on the equipment and be “soloists,” but most of the time they’re all going for the same goal, just like a choir. Of course, choirs and our kids’ gym are always looking to improve leadership as well. While a leader in choir shouldn’t be singing louder than anyone else, they can sing more accurately and help others to do so as well. This leadership can be honed at Junior Boots. Finally, let’s not ignore the physical aspects of choir. If you’ve never sung for an hour, it’s can be hard to understand just how exhausting being in a choir can be. Junior Boots can make kids healthier overall, improving their oxygen utilization and providing them with increased endurance. Concert band and orchestra can benefit from Junior Boots for many of the same reasons as choir can. But we thought we’d single out marching band because it’s a whole different animal. When it comes to marching band, kids need endurance. Marching band camps that start weeks before the beginning of the school year can be eight hours or more a day, often in the hot sun. Not only does that require a lot of physical endurance, but it also needs an insane amount of discipline (which is the fifth of the 5 Pillars kids work toward in our after-school exercise program). Kids also need to be well aware of their surroundings, being able to play and march at the same time, which is something that our critical thinking can help with. They also need to know where they are in space at all times and not bump into those around them; sounds a bit like our obstacle course fitness, doesn’t it? We don’t have to tell you that dance requires an incredible amount of endurance, something that can definitely be helped by the exercises we run through as part of our kids’ fitness program. Dance also requires a good deal of balance, which is certainly a constant part of our American Ninja Warrior-style obstacle course. Dance also requires the building of muscle, whether a dancer is trying to make a leap or lift someone else over their heads. Muscle is also something that helps with (and can be developed at) Hot Ground Gym, because we exercise the entire body. Of course, kids have to get themselves into all sorts of positions in order to get through the course, whether it’s getting their leg up over a barrier or stretching to reach the next goal. This increased flexibility can help in dance classes, and dance classes can help with the flexibility needed in Junior Boots. Though Junior Boots isn’t a martial art, the obstacle courses were built by two martial artists who understand the benefits that can be had from obstacle course fitness. Physically, Junior Boots helps with many of the aspects of other sports, increasing flexibility, muscle development, and increasing bone strength. All of these are important in martial arts. Another pillar that our program helps with is discipline. A martial artist and someone attending a Junior Boots class needs to be able to listen properly and follow the instructions of the adults, because not doing so can really get in the way of learning properly. Injury is best avoided when you follow the instructions. When you look at the 5 Pillars at Hot Ground Gym, it becomes obvious that they can help in just about every after-school activity out there, from football to chess club. If you’re ready for your child to improve in just about every aspect of their lives, check out the Junior Boots schedule right here.